Hello Friday! First, I am so happy that we've had workers here for the past week installing drywall & running electricity. We got rid of the first guy who thought it wasn't that important to get this stuff done in a timely manner. I am now happy to say we have a drywalled bathroom, a drywalled closet, almost a finished floor in the spare bedroom, & almost a drywalled spare bedroom. Finally! Progress on the house! I rrrreeeeaaaalllllyyyy hope we get this done here shortly...hopefully just into the new year. Then, we can unpack & store all the things!!!!! That's all I want!!! 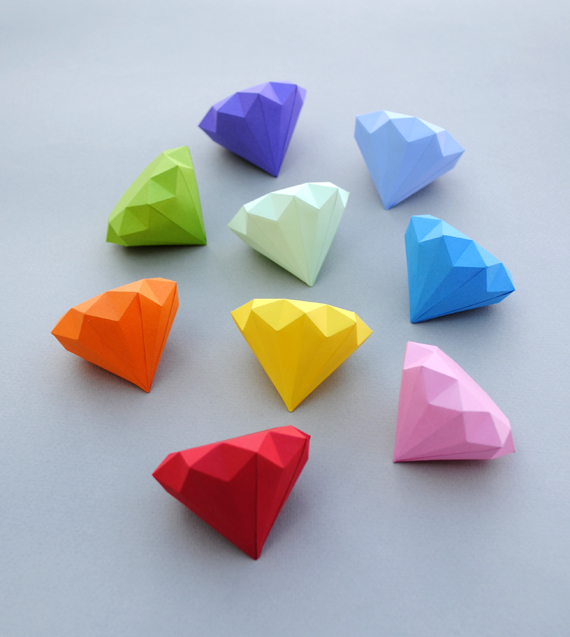 These paper diamonds that would look great as tree ornaments! A really cool looking cut, fold & glue project. You can also find more paper gem patterns here. This giant wall of yarn. I can not wait to have our spare room done! My desk & hopefully a little bit of the shelving unit on my side of the office will hold a whole array of crafting supplies. 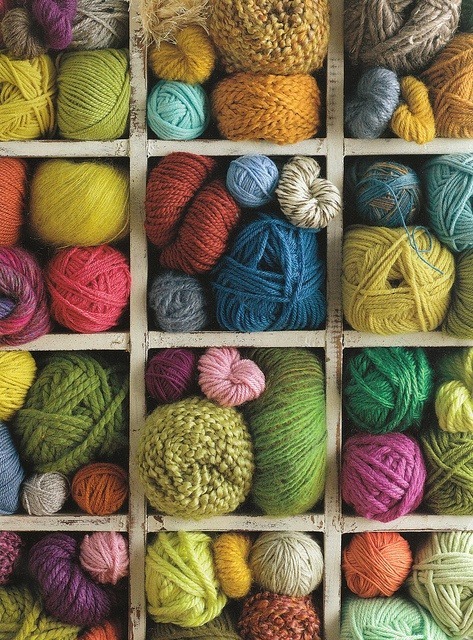 I just want to buy yarn if only to put it in a display like this one. Look at those colors!!! Yarn just makes me so happy. I can't even tell you. 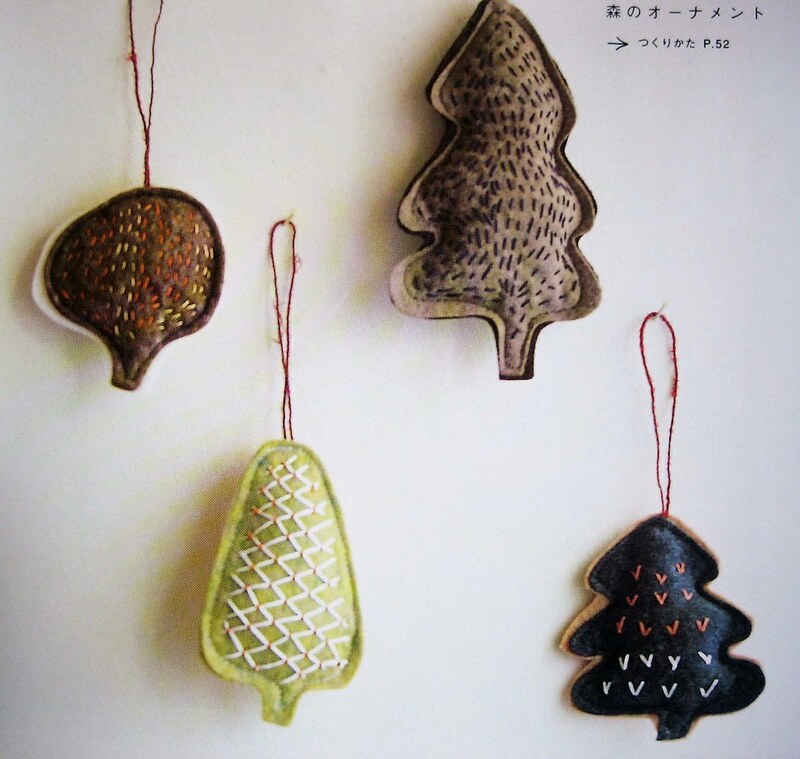 These pretty felt ornaments. Great to use up some scraps. I am in love with non-traditional holiday colors. My favorites are chartreuse & light blue, it just looks so wintery. Love those little paper diamonds! I kind of want one on a ring too haha! Those neon ornaments are also AMAZING, such great finds! Happy Friday to you!